Ever wonder how it would feel to step into the photos with our furniture? Curious to see a product first-hand before deciding if it’s right for your space? 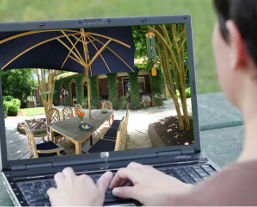 Now, through Virtual Reality and stereoscopic 360-degree photography, experience Country Casual Teak in beautiful real-world environments without ever leaving your home. We offer many ways to try Country Casual Teak VR. Find details and instructions for each below. Immerse yourself in 3D 360 degree environments using a Google Cardboard headset and your mobile device. NOTE: Not all headsets are the same! If you experience discomfort or difficulty focusing on the scene in your headset, try changing the image setting to Small or Large. Start the VR experience with your mobile device. Place the mobile device into your Cardboard headset. Look around! The scene is in 3D and all around you. Tap once to teleport to the next scene, twice to change image settings. Turn your phone back to vertical to return to the menu. Surround yourself in a 360 degree environment with just your mobile device or computer. 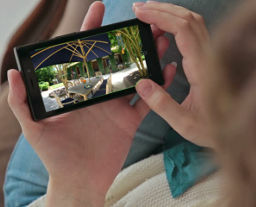 Start the 360 degree experience with your mobile device or computer. Move your phone around you. It’s your window into the environment. Double tap to move to the next environment. Click and drag within the environment to rotate your view. Press the Escape key to return to the menu. Experience Country Casual Teak in full 3D Virtual Reality using your Samsung Gear VR and compatible smartphone. Download the Country Casual Teak VR image using the provided download link. Save the image to the \Oculus\360Photos folder on your phone (you may need to create this folder if it doesn’t already exist). Open the “Oculus 360 Photos” app from your Gear headset. Find the Country Casual Teak VR image in the “My Photos” section of the menu. 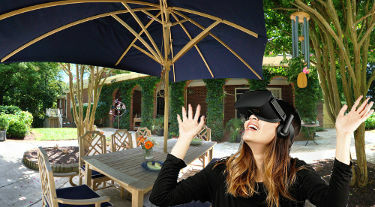 Experience high end Virtual Reality with Country Casual Teak and your Oculus Rift headset. Download the Country Casual Teak VR image using the provided link. Save the image to your computer’s default Windows Photos folder. Open the “Oculus 360 Photos” app from your Oculus Rift headset. Virtual Reality is a technology that allows you to be immersed in a 360-degree environment. 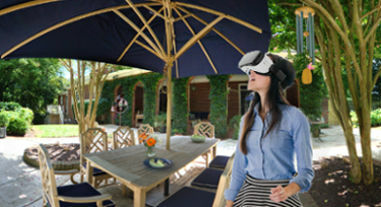 For Country Casual Teak, we've created a Virtual Reality experience so you can step into the photos with our furniture and get a first-hand look at the quality of our products. I'm seeing double in my Google Cardboard device. What should I do? We offer three image settings - Small, Medium, and Large - to accomodate double vision issues caused by differently sized headsets and phones. Try all three and see which is most comfortable for you. I don't see instructions for my VR device! You may find that your mobile based VR works with our Cardboard experience, or that your PC based VR works with our Oculus Rift images. If not, please contact us with the device you're using so that we can add them in the future. I have questions about my Gear VR or Oculus Rift! Please refer to the official Oculus Support Center for questions regarding Oculus VR headsets. Please contact us with any further questions and we'll be happy to help with your Country Casual Teak VR experience. Take a closer look at bestselling products and behind-the-scenes views of photo shoots with our Virtual Reality Experience. Enter your email below to start. Note: If you experience any discomfort or double vision, try our small or large options. No extra hardware/viewer is required! Note: Zooming is not available on 360° images.